As you all know by now, tattoo designs and concepts are endless. You can go as simple as letters to words to phrases or you can have as sophisticated as a landscape, a dreamscape, or a combination of everything you can imagine. With all the collective designs and themes I showcased in this website, I guess it is time to offer something very particular from a very eclectic genre. Let me introduce a very misunderstood mythical creature, the mermaids.? Mermaids are popularized in two extremely contrasting descriptions and depictions. First is the very popular depiction from the Disney classic, “The Little Mermaid”. In this cartoon movie, mermaids are shown as cheerful, beautiful princesses of the sea who are full of love and luck. The other version of mermaids were shown in one of the installment of “The Pirates of the Carribean” wherein through their beautiful voices and enchanting beauties, these sea creatures lure innocent seafarers into their doom. Either way, mermaids still creates fascination to everyone. 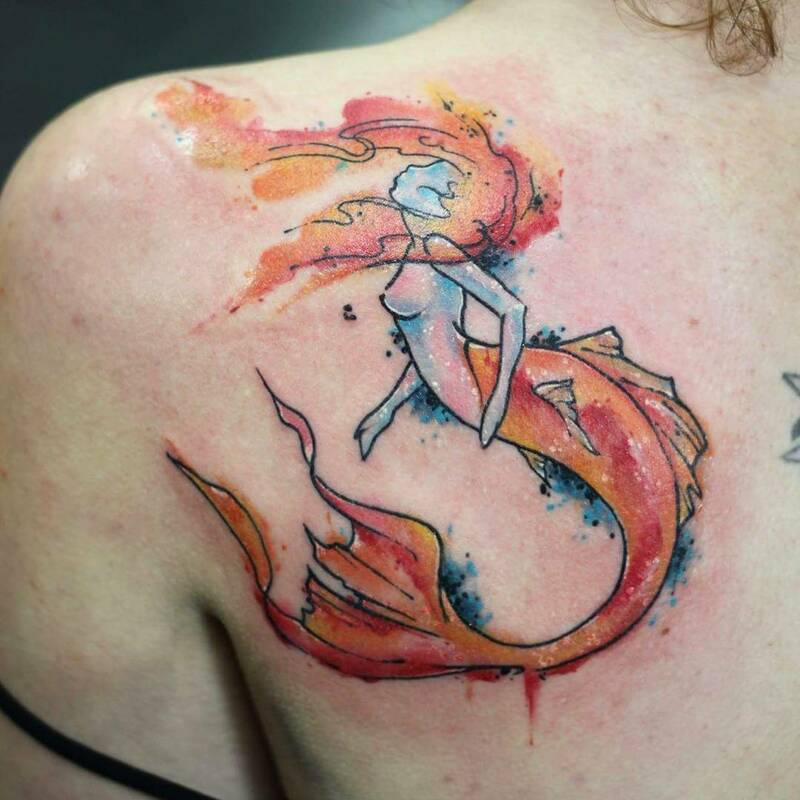 Having a mermaid tattoo in any parts of your body will surely gain attention, which you seek or not.